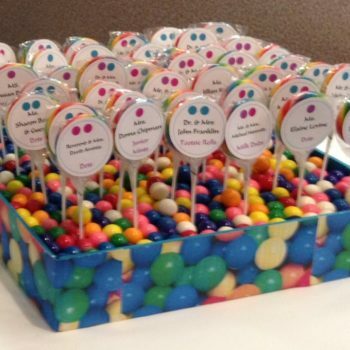 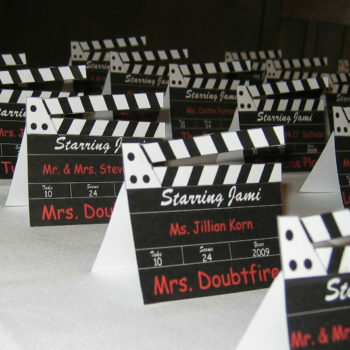 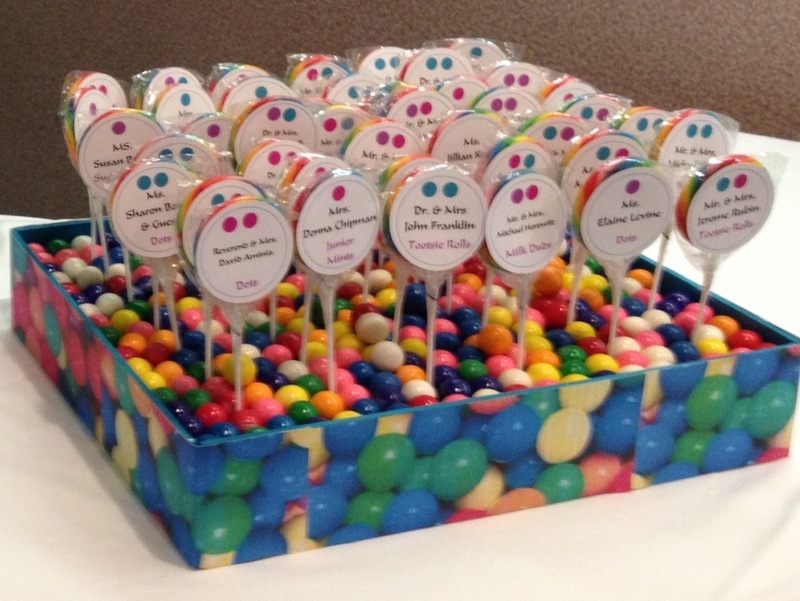 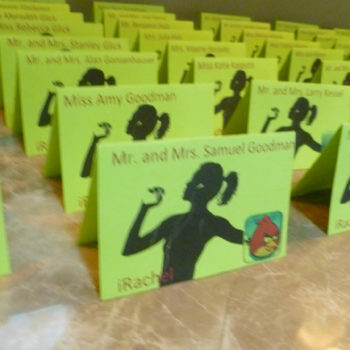 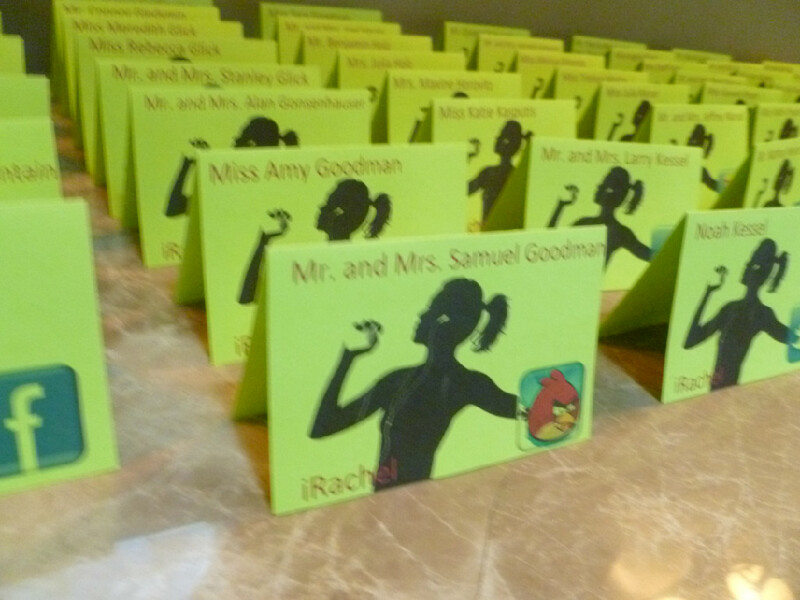 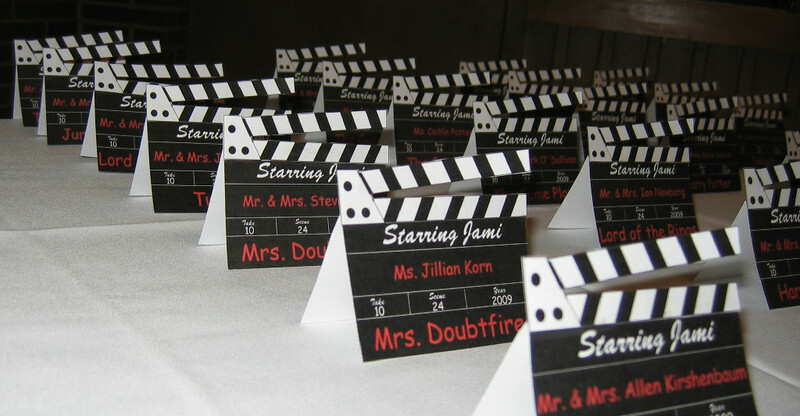 Place cards are the road map of your event. 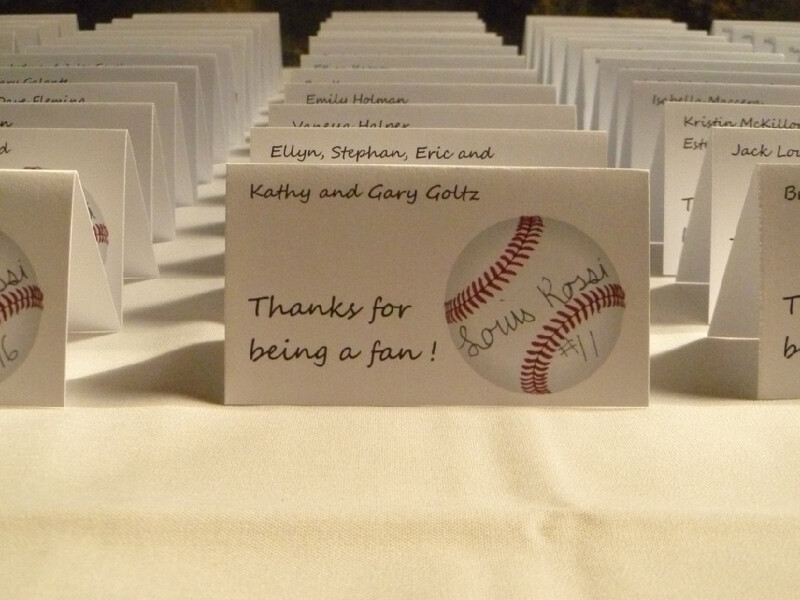 They guide your guests to their seating arrangements. 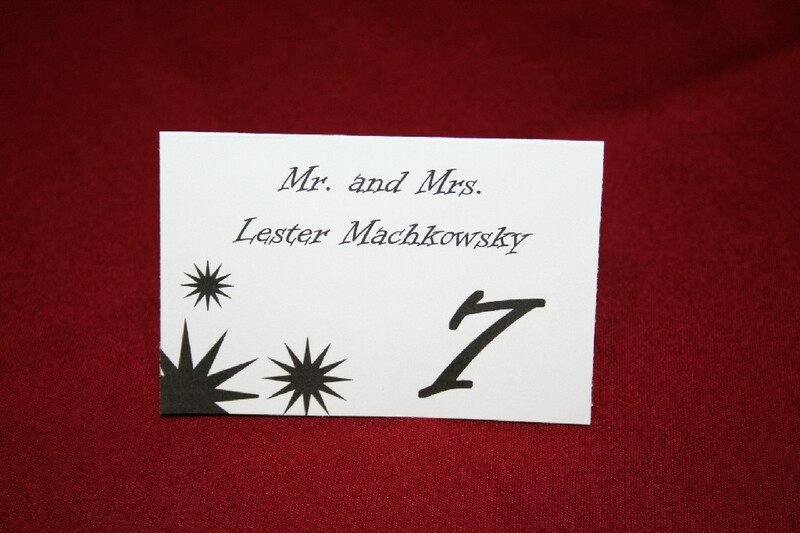 They eliminate confusion as people are entering into the reception to find their table. 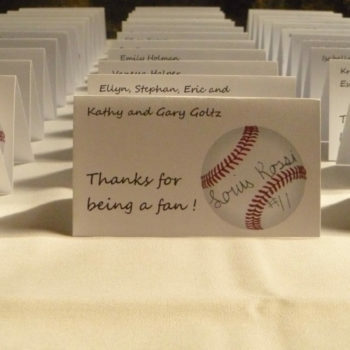 It avoids your guests from having to wander around for a few minutes, looking for empty spots for them to sit in. 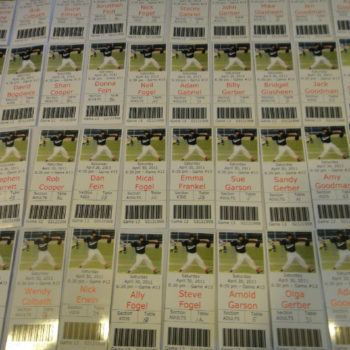 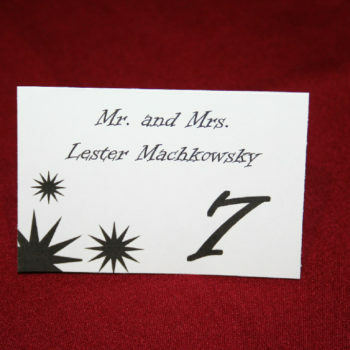 We charge an initial $65.00 art charge and an additional $2.25 – $3.00 for each ticket or square style and $3.25 – $3.50 for the die cut shaped ones. 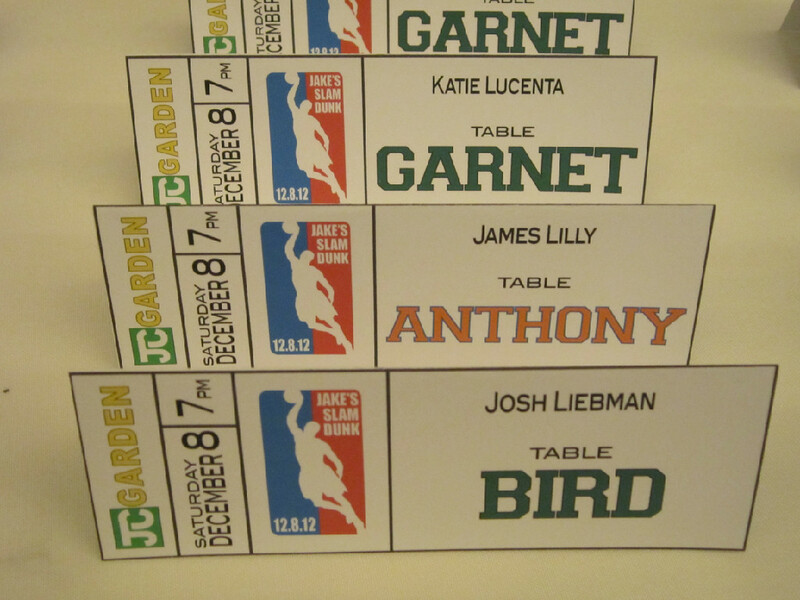 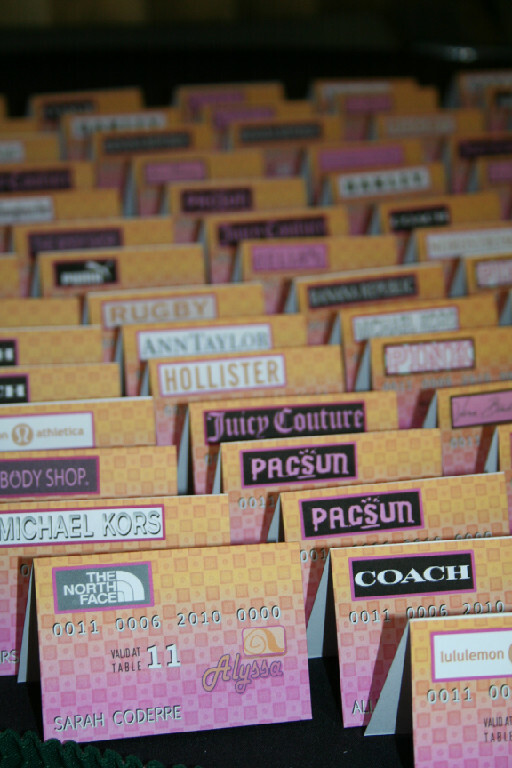 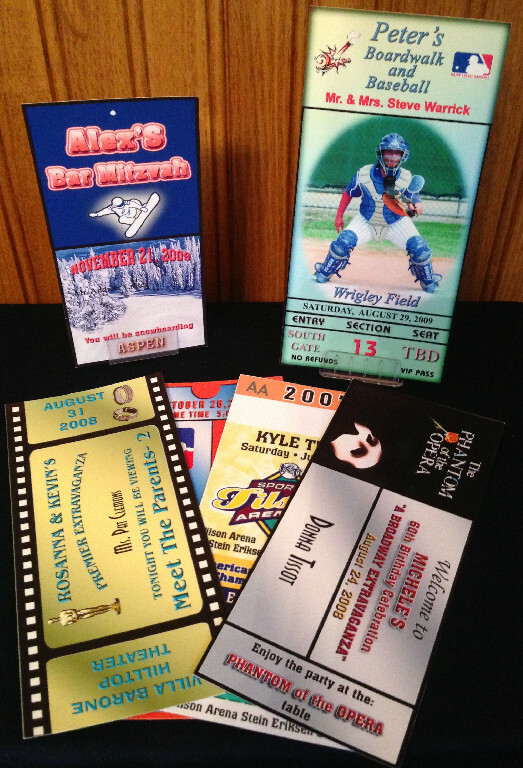 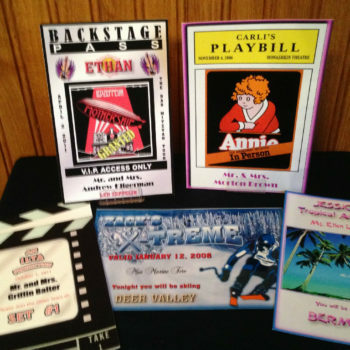 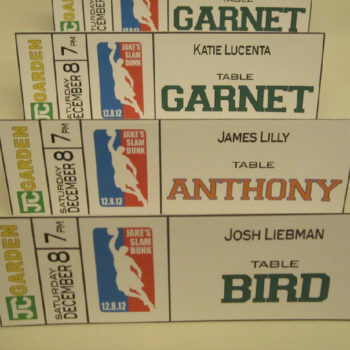 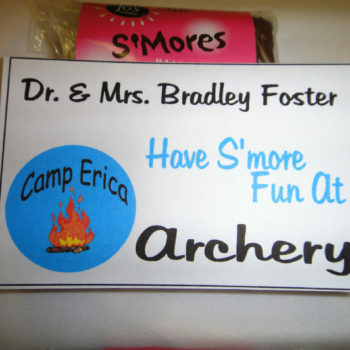 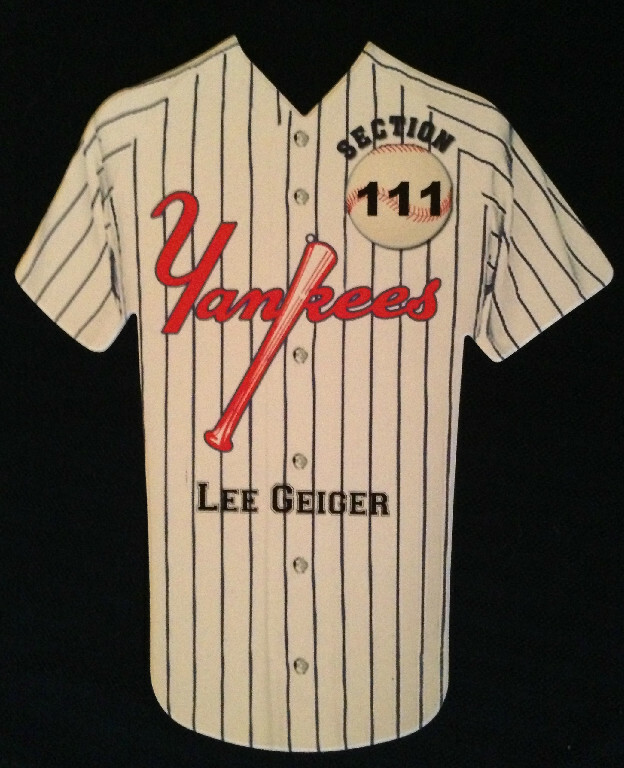 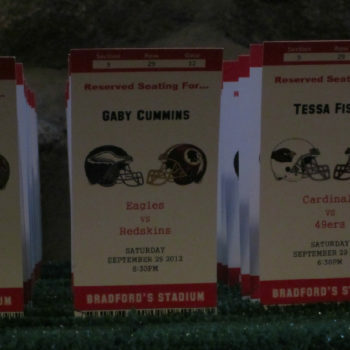 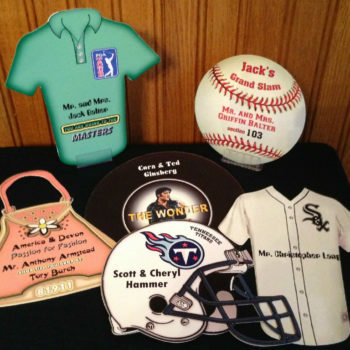 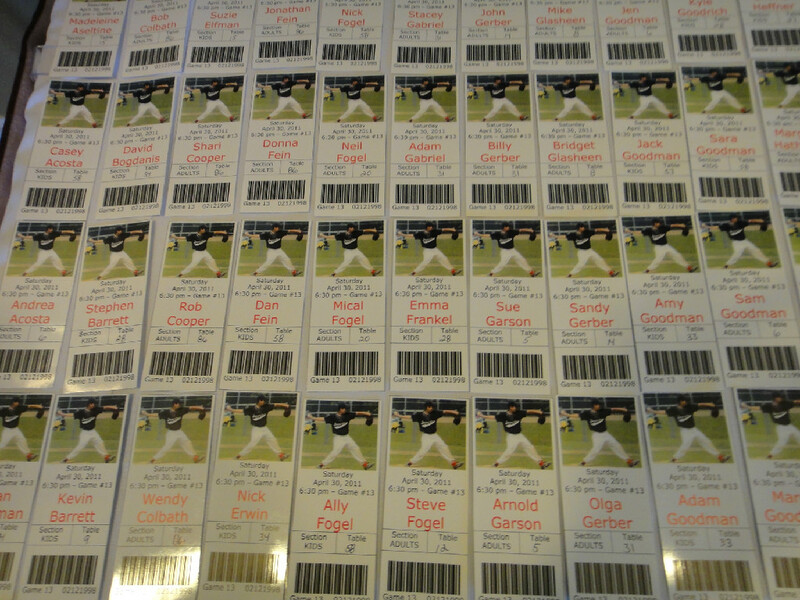 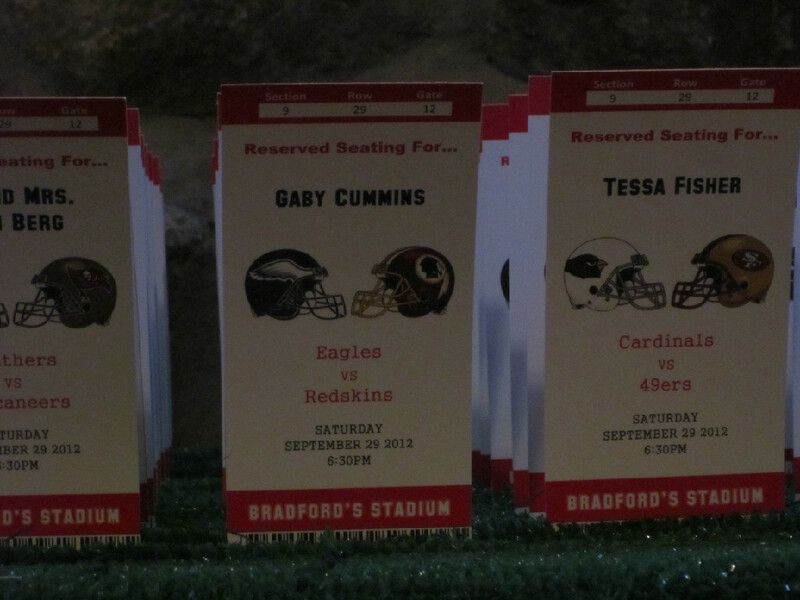 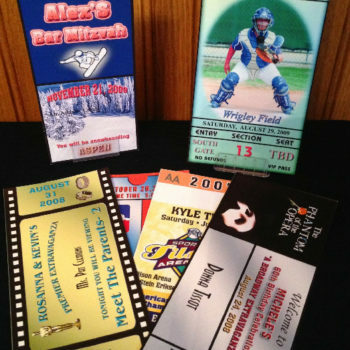 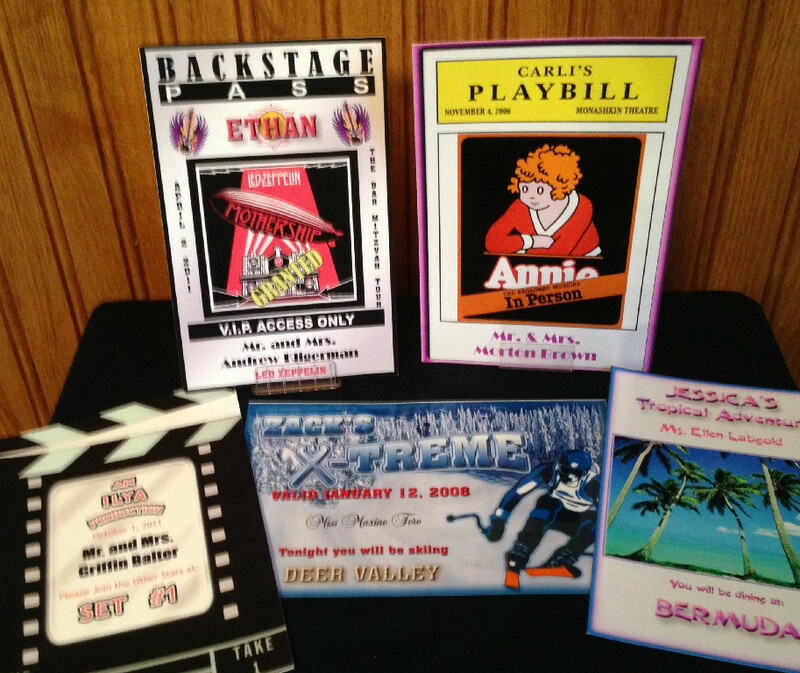 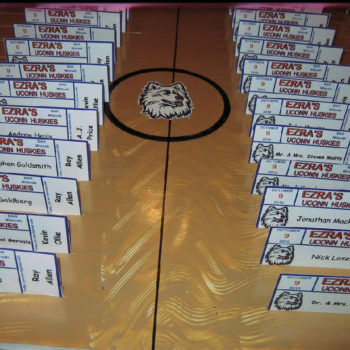 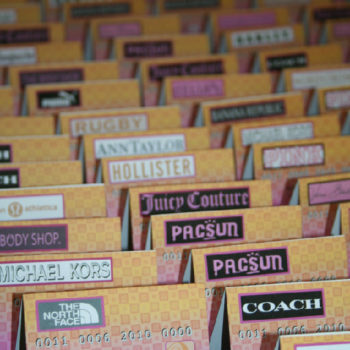 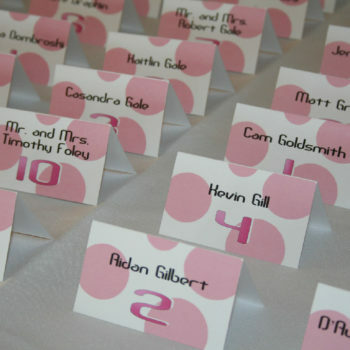 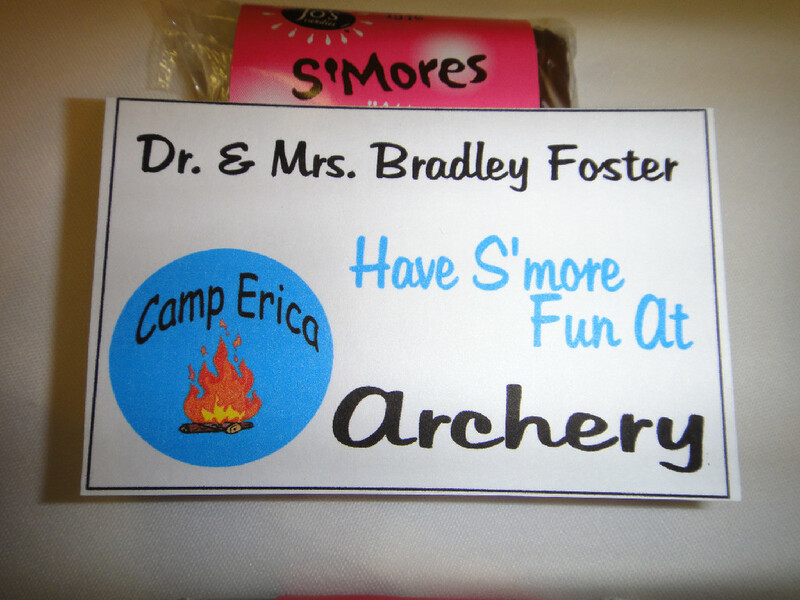 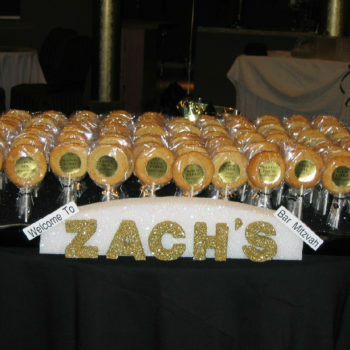 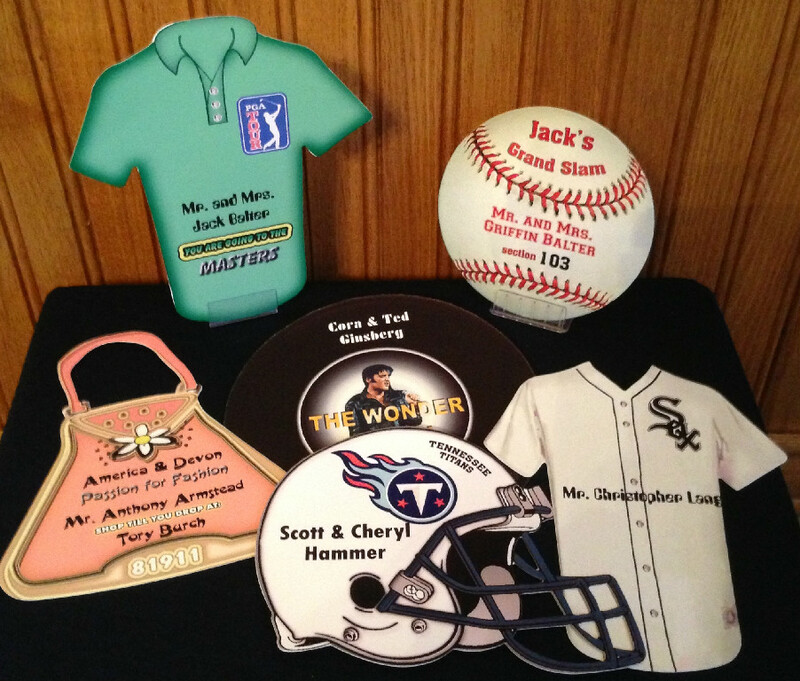 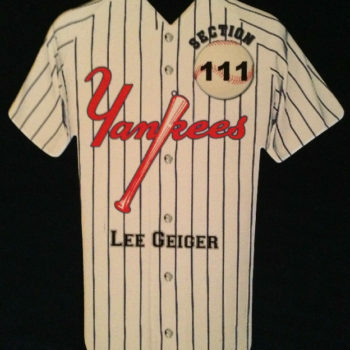 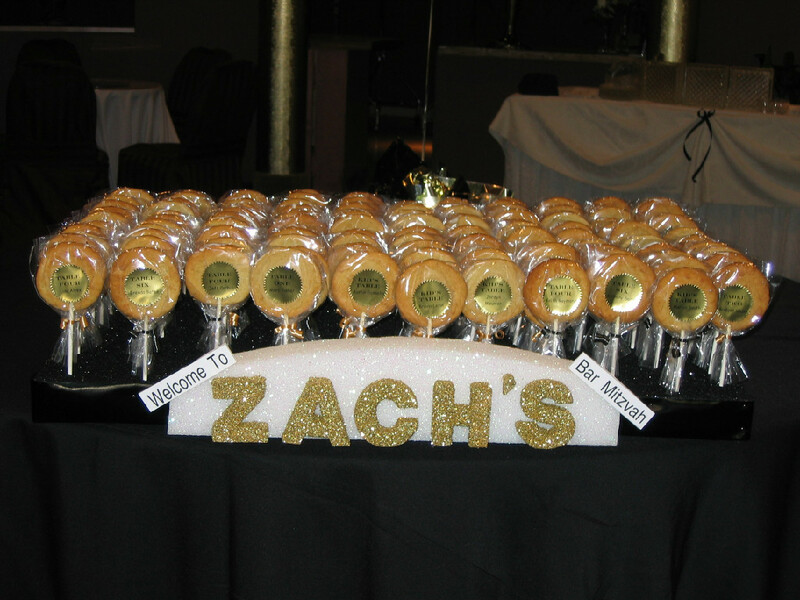 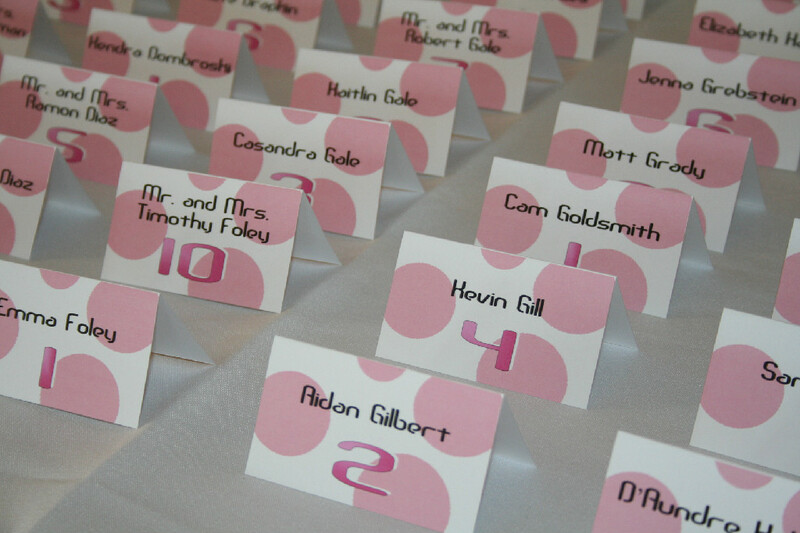 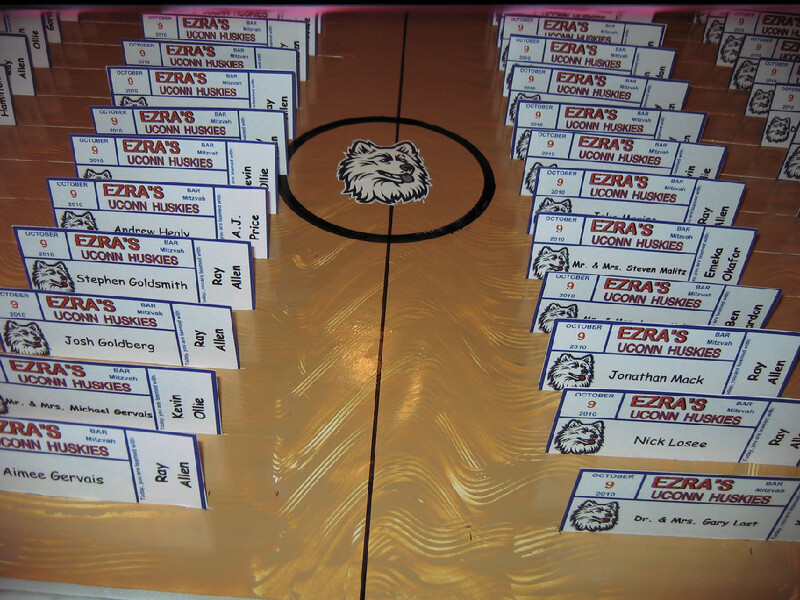 We also can design a display for your place cards, for an additional fee.